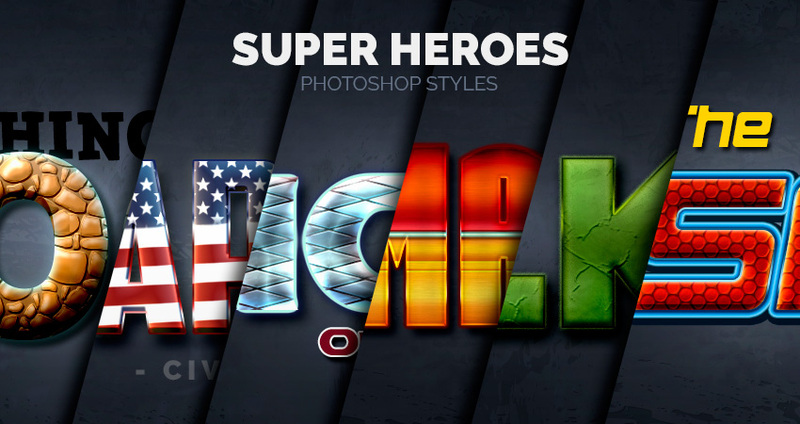 The Spiderman text effect is a part of Super Heroes – Photoshop Styles from my portfolio on Envato Market. 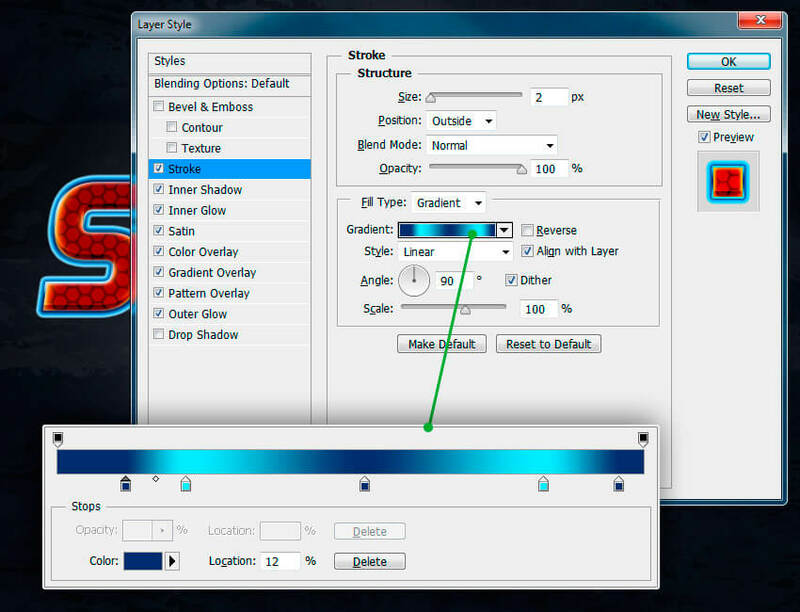 Before you start creating the Spiderman text effect, download and install the font and patterns into your Photoshop. 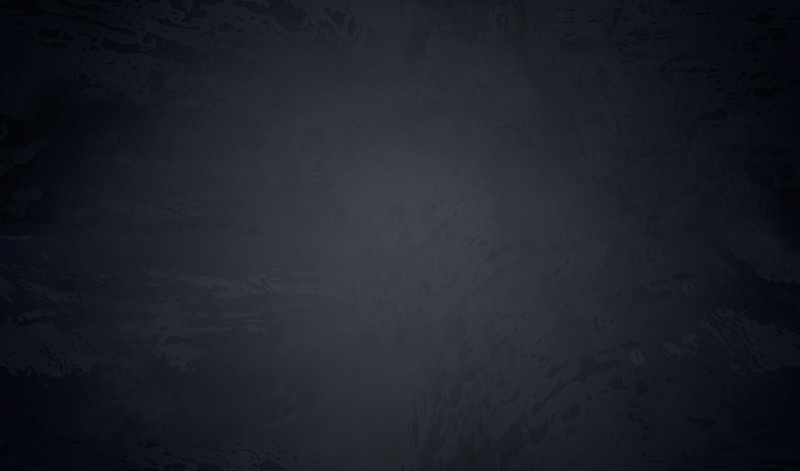 I’ll show you how to make the background for the final image, but if you want to use your own background, then skip this whole part. 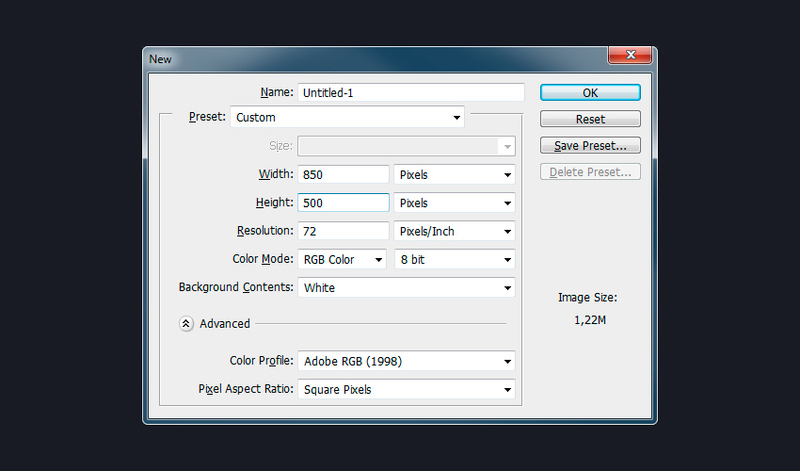 Start by creating a new 850 x 500 px document with the Resolution of 72 Pixels/Inch and the Background Contents to White. 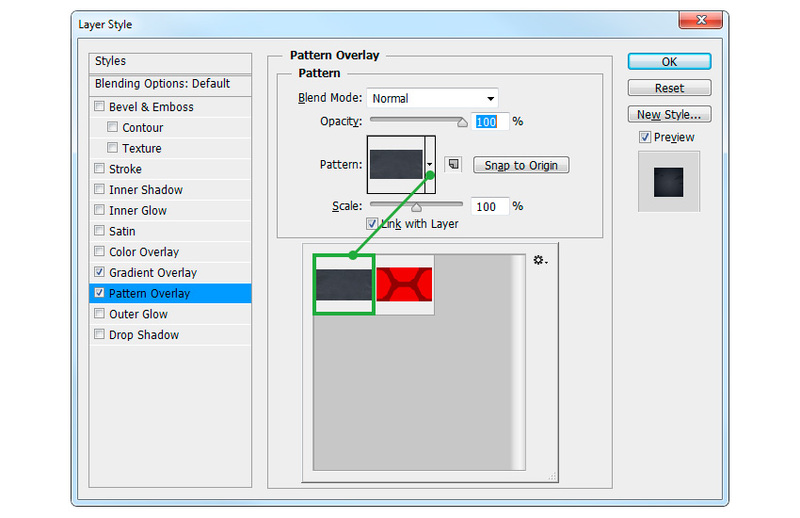 Double click the Background layer in the Layers panel to unlock it. 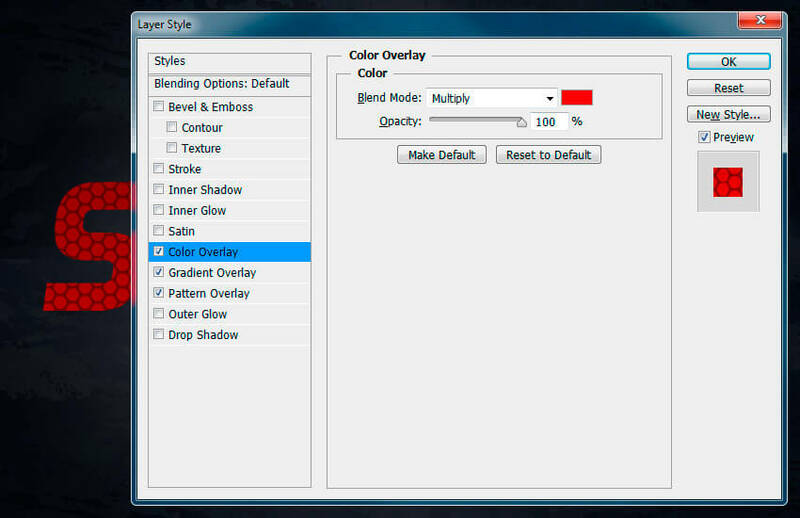 Now right click this unlocked layer and choose Blending Options from the menu. 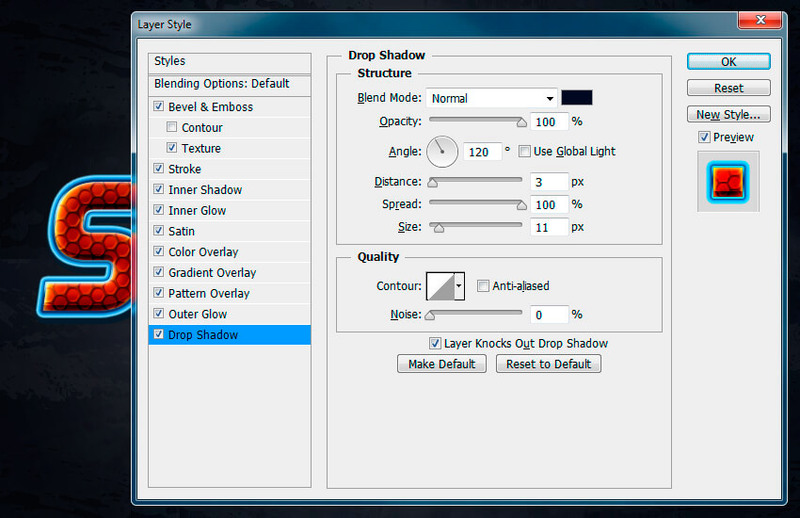 Another way to open these options is to select the layer and go to Layer > Layer Style > Blending Options. 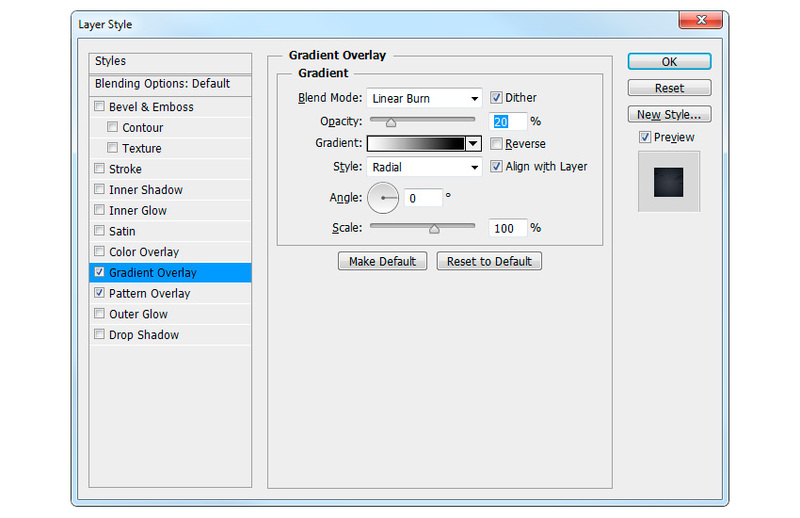 Click the Gradient box to create the gradient fill using the colors White on the left and Black on the right. 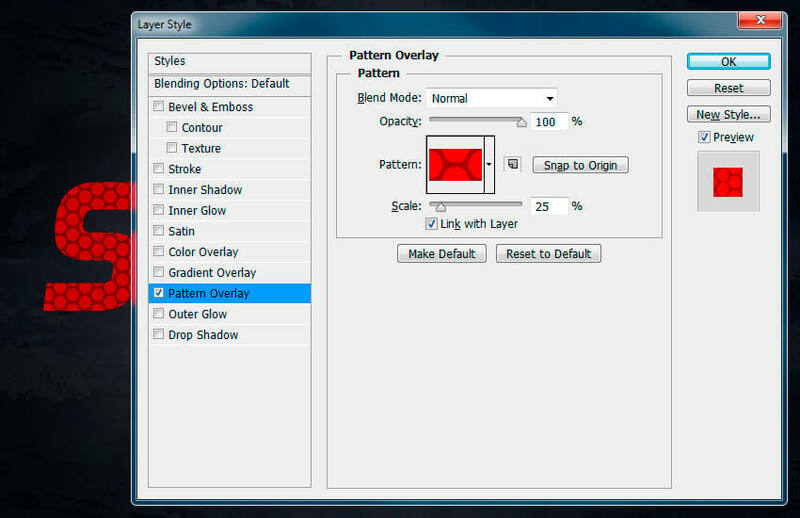 Click on the Pattern box and choose the Dark Wall pattern. This will create a dark textured background with a vignette. This text effect is made of one layer, so you can save it as a new style in your Styles palette for future use. 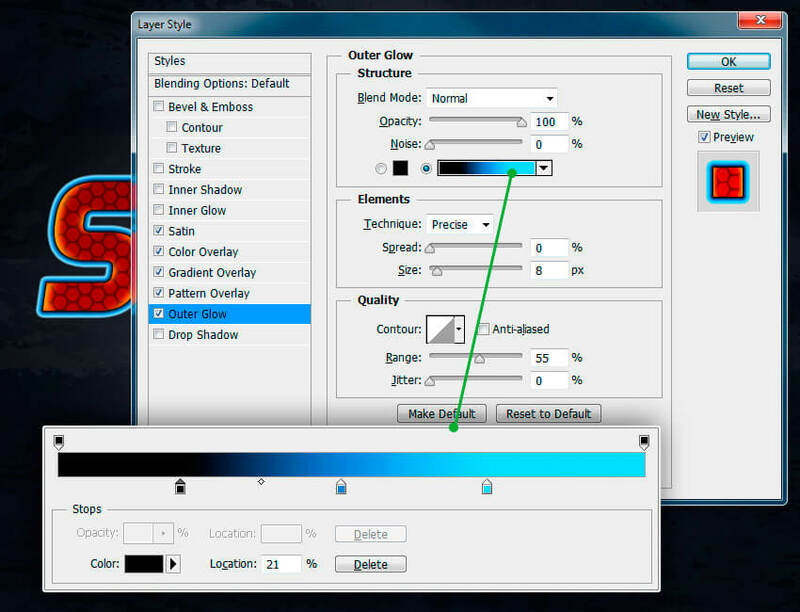 Pick the Type Tool and select the Aero Matics font. Set the Font Style to Bold Italic and Font Size around 200 pt. Write “SPIDER” with capital letters. 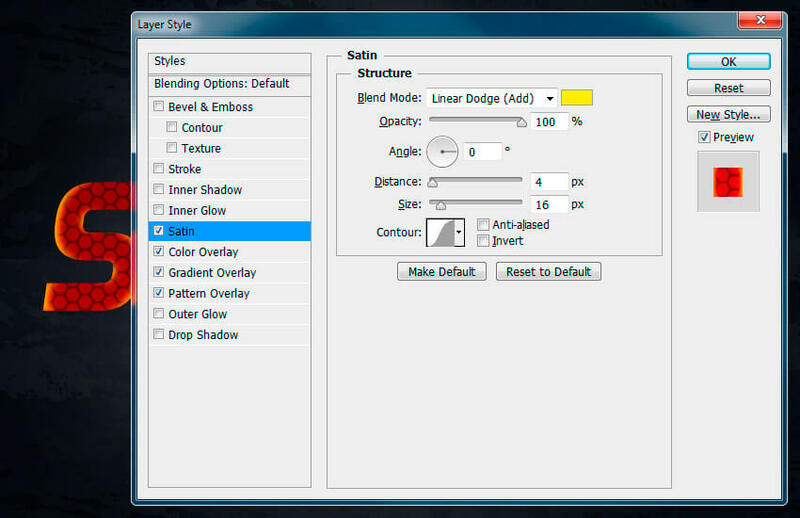 Select your text layer in the Layers panel, right click on the layer and choose Blending Options from the menu. Click on the Pattern box and choose the Spidy pattern. This will add the main red Spiderman pattern. Click the Gradient box to create the gradient fill using the colors Black on the left and White on the right. Click on the Color box and choose the color #e10505. 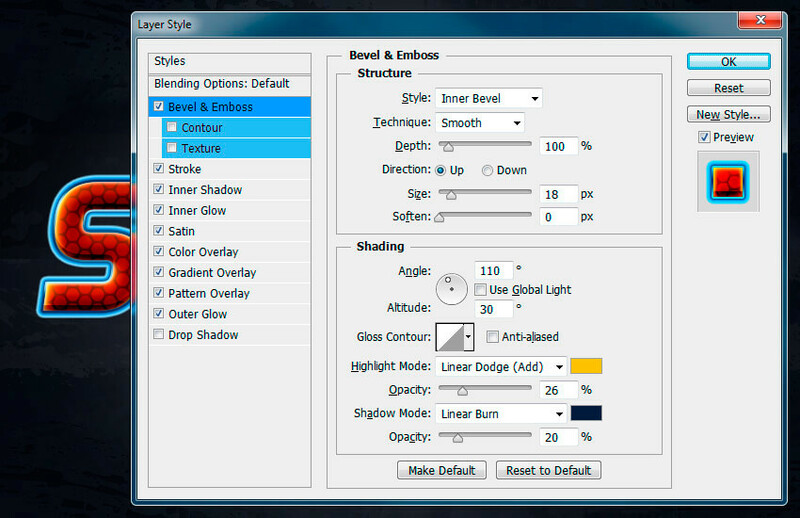 Both color and gradient overlay will slightly darken the main texture. Uncheck the Invert box, if checked. 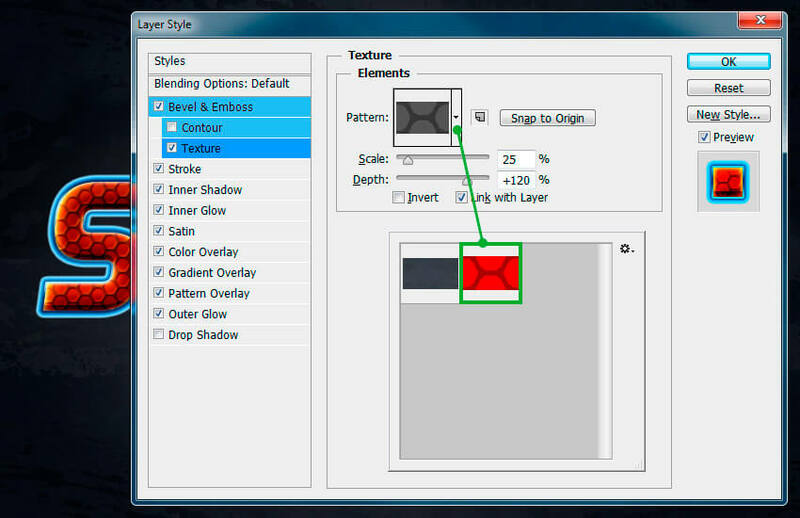 Satin adds a yellow and orange glow inside the Spiderman texture. First gradient stop Color #111111 and Location at 21%. Second gradient stop Color #177ece and Location at 48%. Third gradient stop Color #9adaff and Location at 73%. This will add a blue gradient around the text with dark blue center. Uncheck the Use Global Light before setting Angle: -90°. 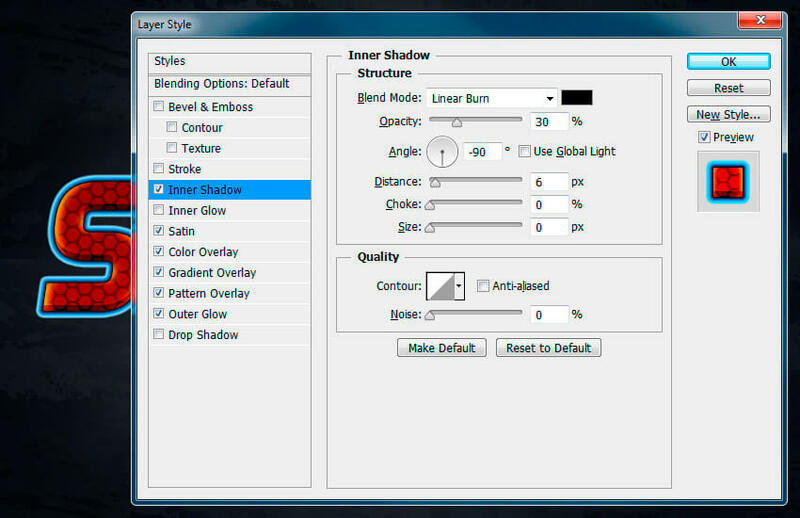 Inner shadow adds a 3D feel to the style. 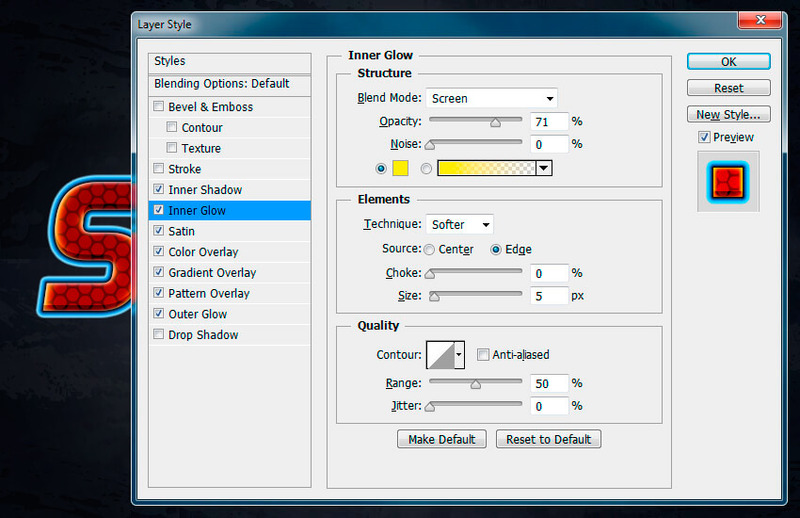 Inner glow adds a thin yellow stroke around the texture. First gradient stop Color #003669 and Location at 12%. Second gradient stop Color #bcebff and Location at 22%. Third gradient stop Color #003669 and Location at 52%. Fourth gradient stop Color #bcebff and Location at 83%. Fifth gradient stop Color #003669 and Location at 96%. The stroke will add small, blue, shiny lines around the text. Inner bevel with texture adds more depth into the red Spiderman pattern. 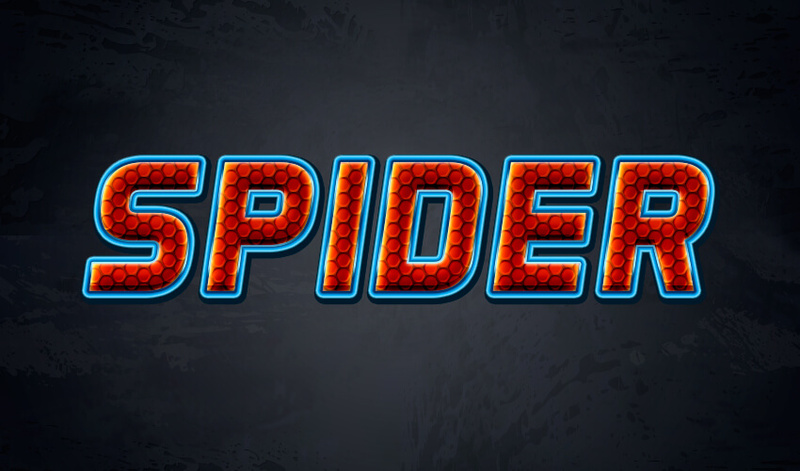 In this tutorial, you learned how to create a Spiderman text effect in Photoshop. We started out by creating the dark background with a seamless pattern. 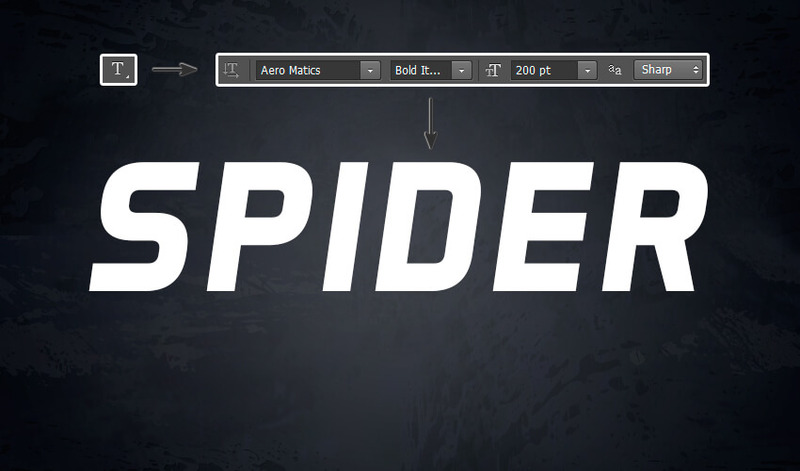 Then we created a text layer and added many different effects in order to create a Spiderman-style text effect. I hope you’ve enjoyed this tutorial, and if you like the final effect, don’t forget to save this style to your Layer Styles palette for future projects.